Technical notes: Painted on Uart #400 sanded paper mounted on archival board. The underpainting was done in a peach Rembrandt pastel which was then brushed down with water to give it some warmth. A variety of pastel brands was used in addition to Nu Pastel, Rembrandt, Unison, Terry Ludwig, Sennelier, and Conte pastel pencils. I have eliminated elements in a marine painting before. 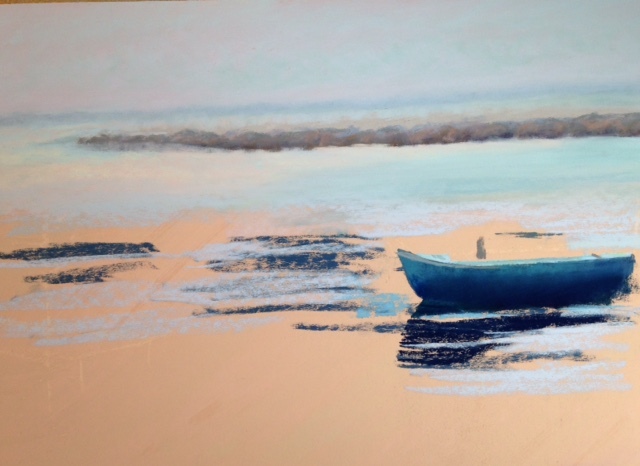 It presents some challenges when depicting the reflections. I think the vertical masts and post on the dock help the composition which also has a few horizontal elements. Also, the water has many bright reflections which challenge the common idea that water is always blue. My pastels are collected on both East and West Coasts now. 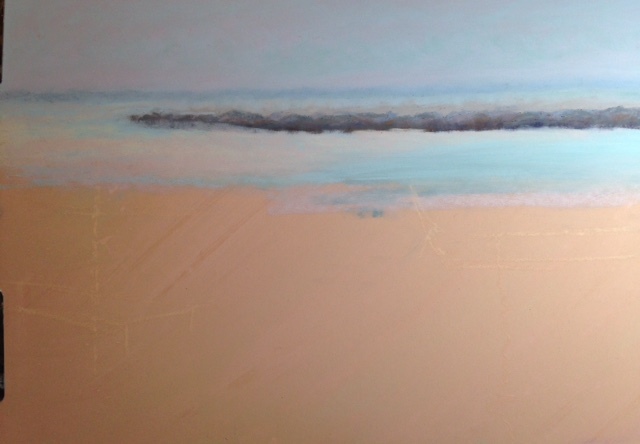 My goal of showing my work on Cape Cod where I now have a summer studio is now a reality. 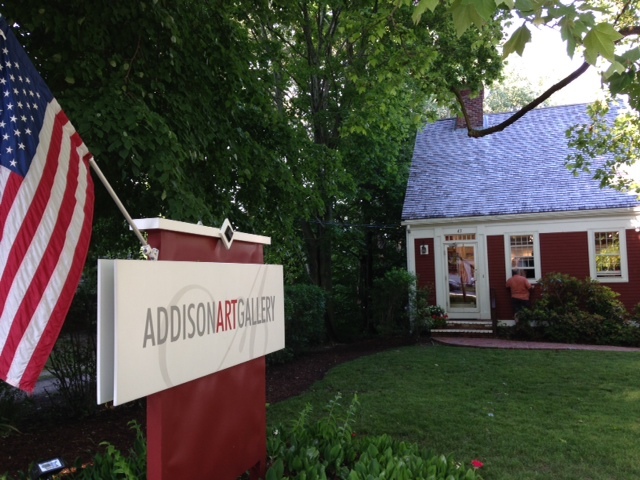 The Addison Art Gallery in Orleans, MA hosted a Painting Orleans Plein Air event during the week of July 14. Artists painted on location from Main Street down to Nauset Beach. I spotted a beautiful garden at 26 Beach Road and Leila graciously welcomed me to paint it. It is always a challenge to capture moments in a painting. 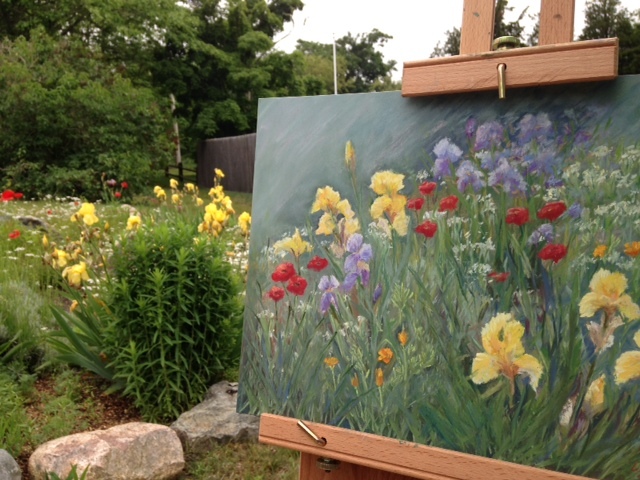 Plein air painting can be a quiet respite from our busy world, but even the flowers were changing before me. What a privilege to watch the unfurling of the bud of a red poppy during the time I painted. A close up view of nature doing it’s magic before my eyes. But this quiet reflection was soon interrupted by a rain shower. I am glad I brought my umbrella to cover the pastel. 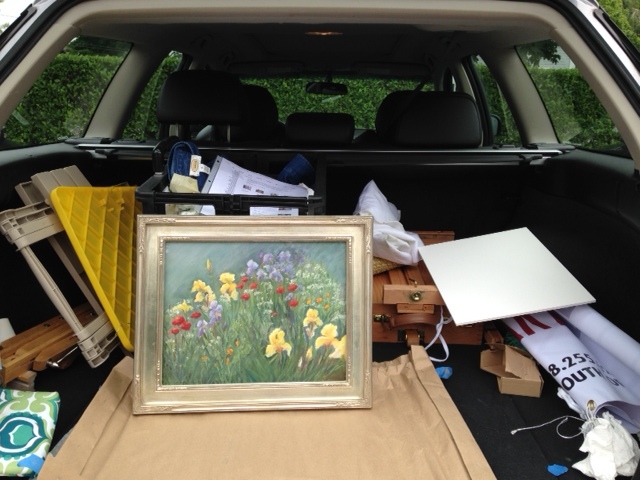 The paintings were to be delivered to the gallery by 2 pm, so it was time to put the pastel under glass and framed in the back of my car. The Addison Art Gallery hosted a great reception and sale on June 14th where artists and art collectors admired the work painted for the event. 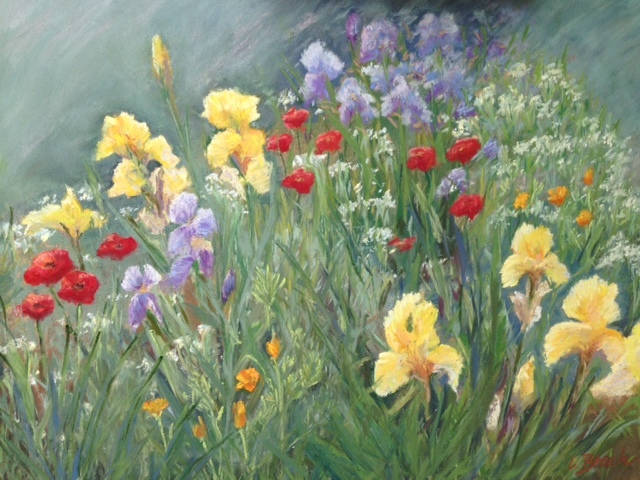 My painting was also included in the next show on June 21st which featured paintings done during the Orleans Garden Tour. When I arrived at the reception to show the painting to my daughter who was visitning, I found that it had been SOLD. So, I am collected on both coasts or “Both Sides Now”. And the temporary moments in Leila’s garden are captured in time and enjoyed by an art collector. The Class of 1963 of Cohasset High School recently celebrated their 50th high school. 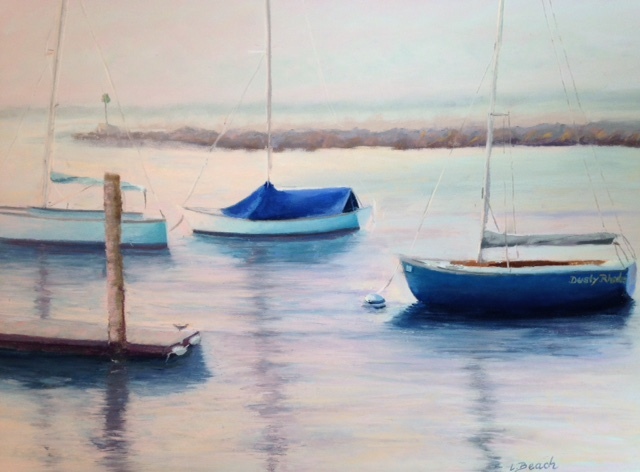 My sister, Janet suggested that I might consider donating a giclee of the pastel painting that I did of our hometown harbor for a silent auction whose proceeds were to benefit the local food bank. 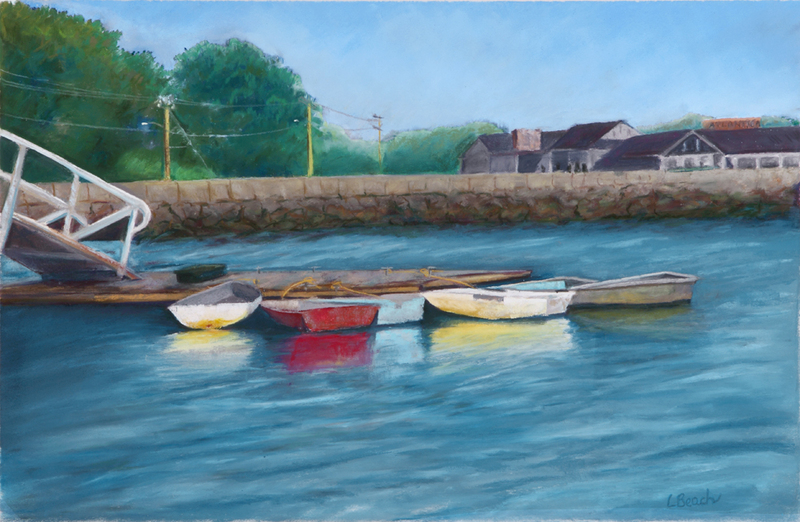 It seemed like a win-win situation, so I packaged and shipped the matted giclee print off to Cohasset for the event. As planned, the reunion weekend which was held this past weekend was a success. The Saturday night dinner was held in one of the galleries at the South Shore Arts Center. One of her classmates bid on the giclee “Harbor Reflections”. The Food Bank receives a donation, the classmate has a momento to give to his sister of their hometown, and I welcome the opportunity to keep the conversation going about my art. Yes, it is a win-win situation.